"New York-based "project label" Coextinction Recordings has opened its doors for business by announcing an impressive upcoming release schedule. The innovative, online music label — set in motion with the goal to "promote an artist- and fan-friendly community while trying to create a home for unique and special moments in music" — will operate out of Translator Audio, a two-studio professional analog and digital recording facility located in Park Slope, Brooklyn. All of the label's releases will be made available for purchase at its web site, www.coextinction.com, beginning Monday, November 15. Owned and operated by professional musicians Dave Curran (UNSANE, PLAYERS CLUB), James Paradise (FRESH KILLS, PLAYERS CLUB), producer Andrew Schneider and Chris Spencer (UNSANE), Coextinction Recordings offers an artist- and music-fan-friendly community and digital downloads of its exclusive releases (as opposed to traditional record pressing/product distribution). 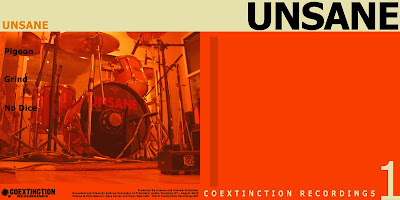 With no interest in signing artists or releasing full-length albums, the intent of Coextinction Recordings is to instead work with bands on creative, one time project(s). With the ability to record bands at its Brooklyn base of operation, the label looks to keep its recording sessions "fast and dirty" and the studio atmosphere "loose and creative," thereby capturing "a vibrant and unique snapshot or moment in the existence of the band or artist" involved. "By removing the pressures of making a full record or the perfect single, the plan instead is to provide a chance for the artist to take a moment in the studio to experiment and explore new ideas," commented Schneider. "The engineering will follow the same ethos; set up is fast, sounds are often not pretty and the main focus is on keeping the session moving. The time limitations will force quick decisions, unplanned techniques and often very cool surprises." "Having talked about starting a label for too long it was time to act," stated Curran. "I use the term 'label' loosely, as this is more of an 'avenue for good music to freely exist and have a home for all to enjoy.' By offering digital downloads exclusively, we can redirect our budgets and offer our artists things that we deem important. For example, free recording time, free artwork and free video downloads. As a result, the bands and fans both benefit and we’re able to improve services to both. Our setup also facilitates touring acts coming in on a day off for a session with minimum hassle, thus expanding our roster and providing more one-of-a-kind music for the fans. A session with SHRINEBUILDER was our first recording; it happened during the time when the band got stuck in New York City after the Iceland volcano eruption of this past April. This was the springboard we needed to get going and everything seemed to fall into place soon afterward!" 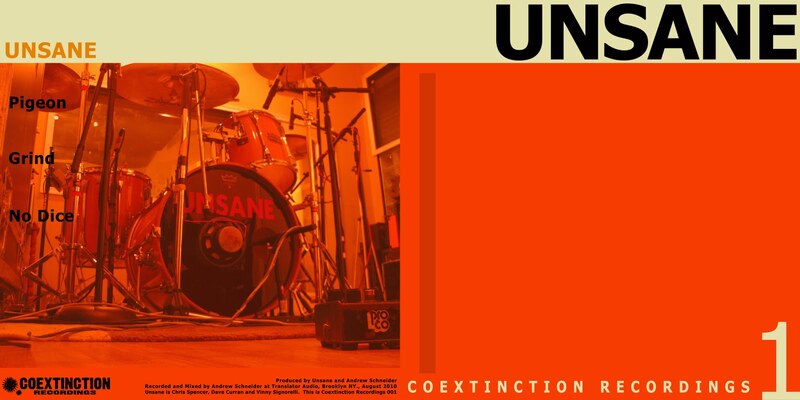 The label kicks things off by delivering three new tracks from UNSANE ("Pigeon", "Grind" and "No Dice"), available for preview and purchase beginning November 15 at this location. Previews of upcoming exclusive songs from GOES CUBE, SHIRINEBUILDER and PIGS will also be available at www.coextinction.com. 2011 label releases will include sessions from THE BROUGHT LOW, BIG BUSINESS, TOTIMOSHI, ROSETTA, CITY OF SHIPS and more."